1. Deadline Extensions. 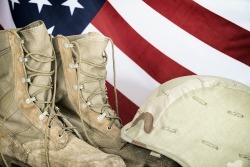 Some members of the military, such as those who serve in a combat zone, can postpone some tax deadlines. If this applies to you, you can get automatic extensions of time to file your tax return and to pay your taxes. For example, service members stationed abroad have extra time (until June 15) to file a federal income tax return. Those serving in a combat zone have even longer, typically until 180 days after they leave the combat zone. They may also qualify to delay payment of income tax due before or during their period of service. Please call the office to ask an accountant for details, including how to request relief.